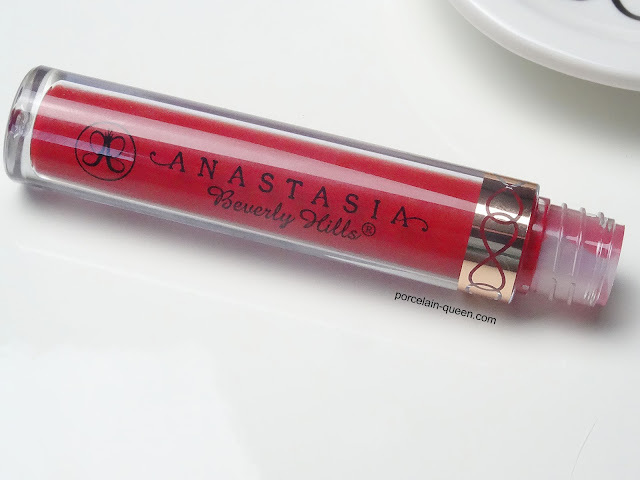 Anastasia Beverly Hills is a house hold name amongst all eyebrow aficionados, but in the past year her once eyebrow exclusive empire has expanded to allow for other coveted makeup items. I was luck enough to have 'Bloodline' liquid lipstick purchased for me by a friend from the Big Apple, and it's safe to say I have been rocking hot orange lips ever since. 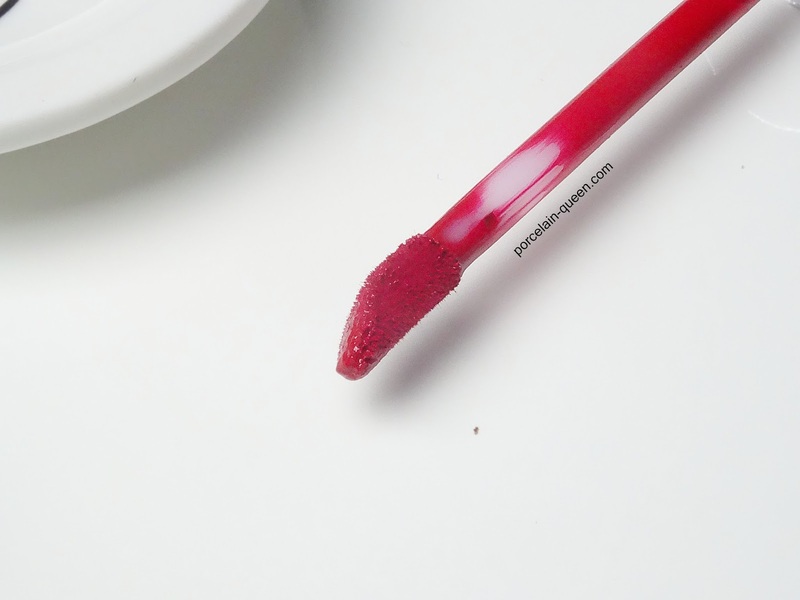 For all you regular readers, you'll know I adore liquid lipsticks, I have a sizeable collection which features at least 9 or 10 shades of seemingly identical but all differing shades of red, my most favourite been a hot coral red. 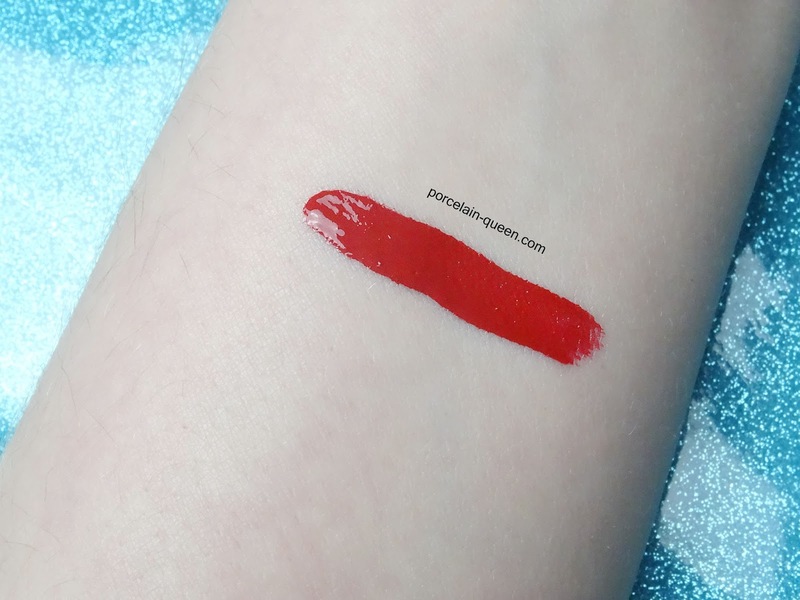 I must admit looking at all the swatches online I thought Bloodline was slightly darker and vampier, but I am still over the moon with the colour. The shade is not too far from a tomato red, with plenty of orange undertones it definitely airs on the warmer side. Now for the most important part, the formula. It glides easily onto the lips with a standard doe foot applicator, once left to cure for a minute or so it is set for the foreseeable, and not a thing will budge it. I wore this recently on a girls night out, I applied it whilst waiting for a taxi around 9pm, and it was still going strong when I eventually collapsed in bed around 3am. 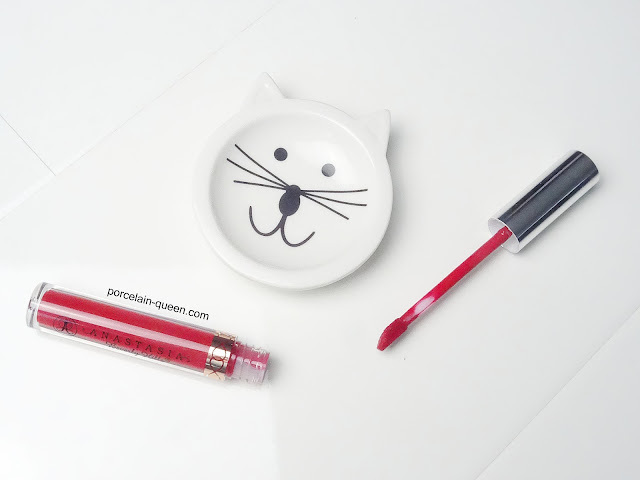 It dries completely matte, it can be slightly drying like any matte liquid lipstick, but feel comfortable and easy to wear. The only question left is which shades do I order next?